Editor’s Note – this spring we put a call out to artists and studio owners to test out a variety of Cloudlifter products from Cloud Microphones. For the studio, we chose Coast Records down in Charleston, SC, who installed the Cloudlifter CL-4 in their studio to elevate the sound of their dynamic and ribbon mics. After using the Cloudlifter CL-4 mic activator on my sessions for the past month, it’s clear the Cloudlifter has made a huge improvement in the quality of sound coming out of my microphones. The Cloudlifter CL-4 uses active circuitry to inject 25 decibels of pristine, transparent gain into your microphones. I’ve been primarily running my Cascade Fathead ribbon mics through it, which I often use as a stereo pair of drum overheads, or on an acoustic guitar. The 25 decibels of clean, noiseless gain it gives these microphones allows me to not have to crank my preamps, which keeps away undesirable noise and hiss. I’m now able to get that intimate, “right up on the mic” sound from soft acoustic performances while still having the signal sound clean and pure. Overall, the Cloudlifter has been a great addition to the Coast Records studio, and I look forward to using it on my sessions in the future. I want to thank Cloud Microphones and Performer Magazine for the opportunity to incorporate it into my rig. James here from War Twins. We just made our new record, American Kids, with the incredible Sylvia Massy, a groundbreaking producer whose signature approach can be heard on albums by Prince, Red Hot Chili Peppers, Tool, and Johnny Cash. Sylvia specializes in out-of-the-box techniques, and when we finished the record we knew we wanted to bring that elevated sound on the road with us. A few months ago, we had the pleasure of receiving some great gear thanks to Performer Magazine and Cloud Microphones, just in time for our US tour. Getting the right sound on stage was very important to us, and it was made easier with the help of the Cloudlifter Mic Activator and Cloudlifter Zi. These devices allowed us to power our dynamic mics to optimize their gain while reducing feedback, ultimately providing more clarity for the vocals to shine on top of the mix. Paired up with our Trash Talk Audio Payphone mics, the Cloudlifters brought out some of the unique vocal effects we used during recording. They’re built strong and are reliable in the studio and for handling the rough conditions of touring the country. I was blown away by how the Cloudlifter Zi was able to enhance recordings of lined-in instruments like bass and electric guitars. (I ran a $60 student model bass guitar through the Zi, and it made it sound like a real Fender Precision Bass). We’re very excited to incorporate them in our home studio back in Los Angeles. 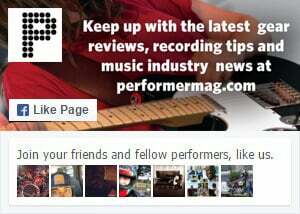 Big thank you’s to Performer Magazine, Cloud Microphones, and Trash Talk Audio. If you’d like to hear more, check out our new title track single “American Kids” on Spotify.